Similar to the Garrapata Creek Bridge, the Granite Canyon Bridge is a 288 ft long bridge with a 127 ft long arch span that was built in 1931. 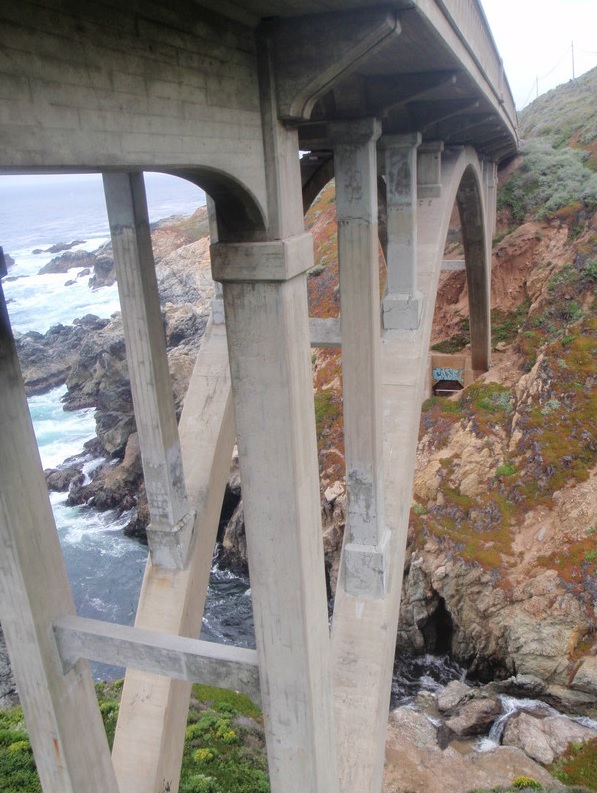 Also like the previously mentioned bridge, it has a lot of concrete spalls due to the marine environment and requires continually maintenance. 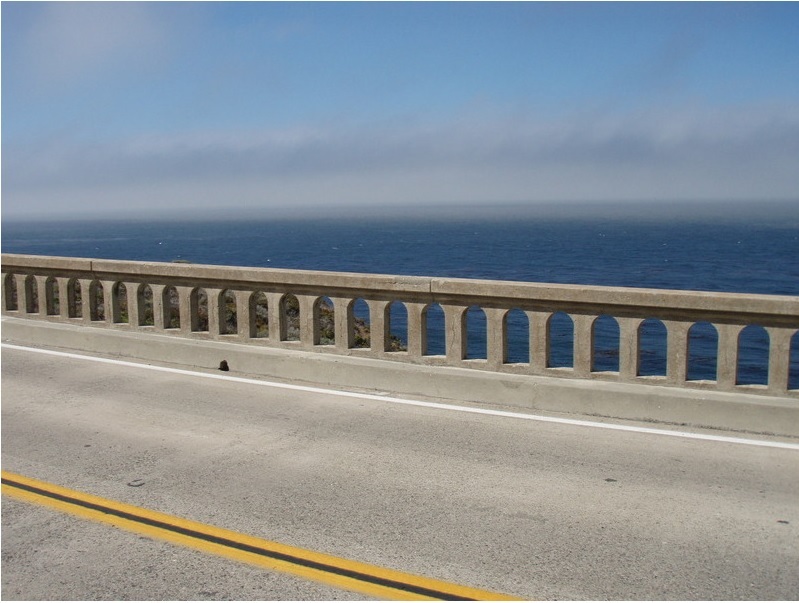 All of these arch bridges along Monterey County's coast were built to enhance the experience of viewing the ocean while driving. That's why all the bridges sport an open barrier rail. In fact, these barrier rails are so popular that Caltrans eventually designed a crash resistant barrier rail that maintained the same open aesthetic. 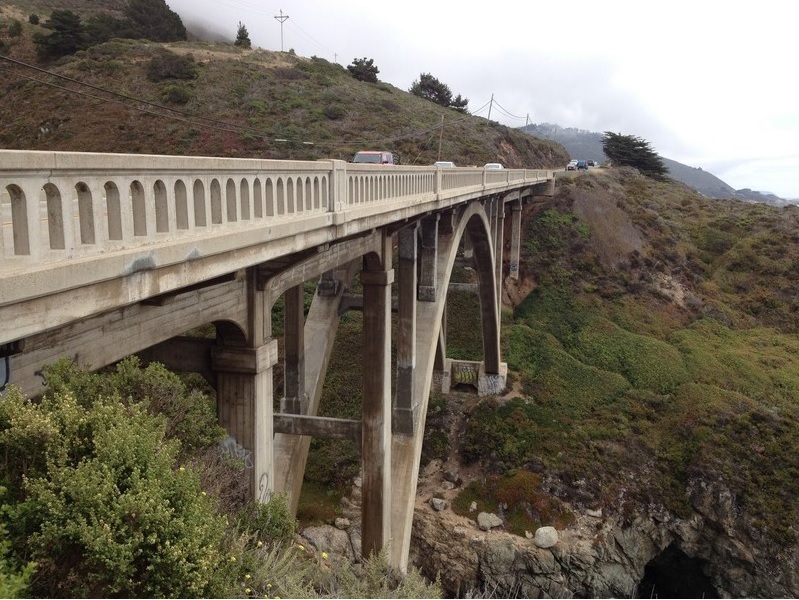 The Pacific Coast Highway requires a lot of work to keep open, especially during the winter when landslides frequently cover the highway. People want to visit the ocean on the west side of California and the mountains on the east side of California and it's Caltrans' job to provide access to them.